Daphne and her husband Charles are in their 80s and they have been helping the local community through volunteering for over 20 years. Following Help & Care’s nomination, the couple has been awarded a short break by Room to Reward. Room to Reward is a national charity that offers complimentary short breaks to ‘hidden heroes’ within registered charities. The aim of Room to Reward is to recognise and reward the commitment, hard work and selflessness of volunteers and frontline staff. Registered charities can submit an online nomination and if approved, the nominee will be able to book a room at a participating hotel for a maximum of two nights. 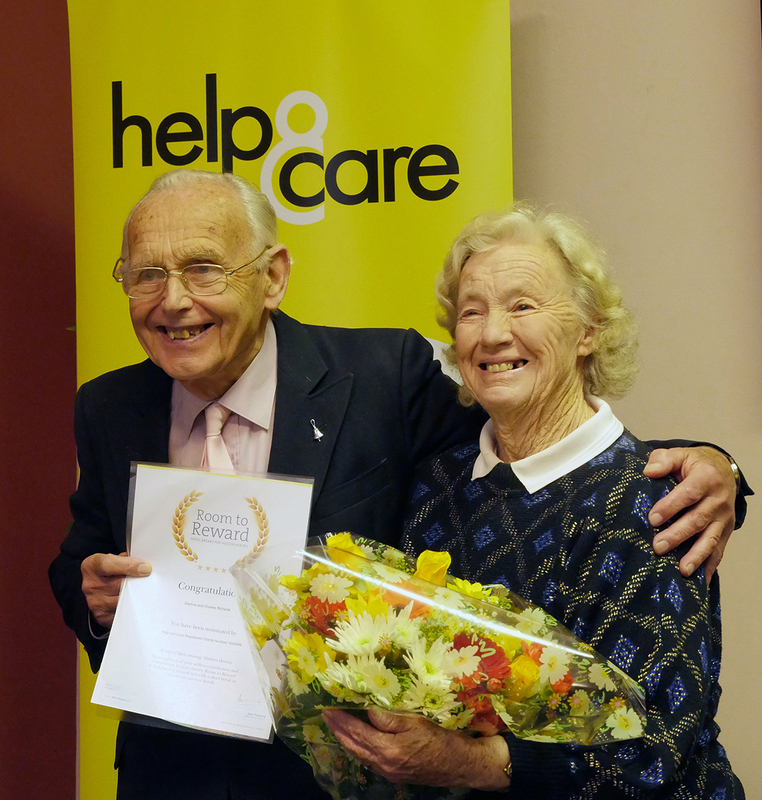 Daphne and Charles were nominated by Help & Care due to the long time they have been volunteering and their willingness to go the extra mile to help other people. Throughout their lives, Daphne and Charles have carried out different roles at Help & Care, including driving people with mobility problems to essential appointments or visiting older and isolated people at home. When Charles suffered a heart attack eight years ago, they decided that going out and about was not safe anymore and joined the Telephone Befriending Support Scheme. In their current role, Daphne and Charles come to Help & Care on a fortnightly basis to call isolated, lonely, and sometimes housebound people. 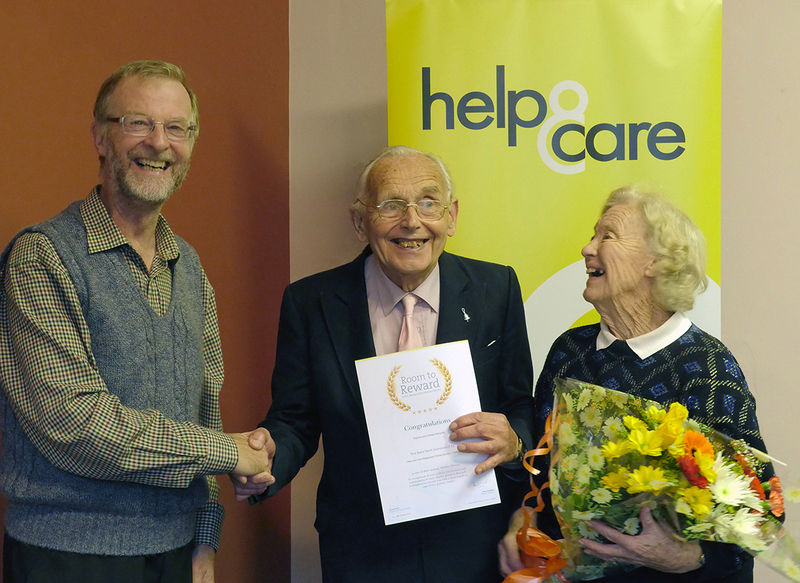 The award was presented on Tuesday 7th of November by Adrian Dawson, Chair of Trustees at Help & Care. Daphne said, “We started volunteering because we wanted to help people and make a real difference to their lives, especially to those who are lonely and housebound. We didn’t expect anything for our voluntary work. It was a great surprise when we were told we had been awarded a break in a hotel. We look forward to it now”.